The USB (Universal Serial Bus) interface was originally created to connect PCs with devices like mouse, keyboard or printer, and it was designed to replace other serial and parallel interfaces. Thanks to technological advances, USB is now the main method of communication used in consumer, medical and automotive devices as well as automation. Another important function that emerged as the interface developed is the ability to power devices via USB. TME's offer includes a family of SmartHub SuperSpeed USB 3.1 Gen1 integrated controllers from MICROCHIP TECHNOLOGY, designed for USB Type-C™ applications. Their advanced embedded functions eliminate the need for additional supervisor ICs. the controllers can work in commercial (from 0°C to 70°C) or industrial (from -40°C to +85°C) temperature ranges. 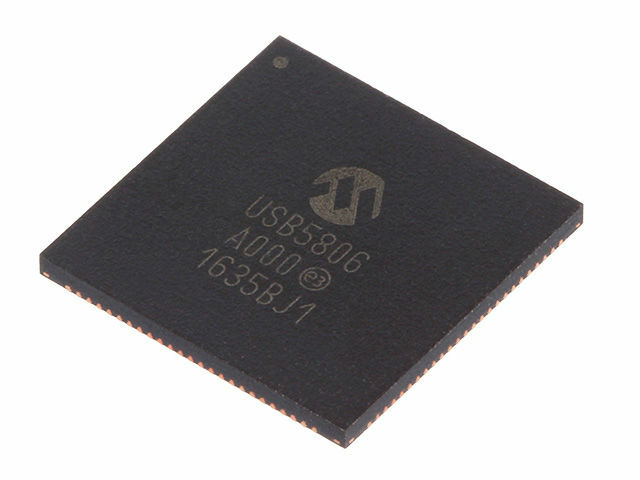 MICROCHIP TECHNOLOGY, the manufacturer of these controllers, provides technical support of their engineers from the breadboard development stage (the USBcheck service). These controllers are backwards compatible with the older USB2.0 standards. We encourage you to check out the integrated controllers from MICROCHIP TECHNOLOGY available in our offer.